The Costco in our area recently shuttered its long-standing warehouse store and opened a brand-new, bright and shiny and much larger one a few miles away. Eager to see what the new store had to offer (and lured by the prospect of a free roasted chicken), my husband and I made our first visit. Once inside, it was simply…overwhelming. First, the sheer enormity of the place. It’s hard to visualize what 148,000 square feet of space actually looks like, until you’ve actually sprinted from one end of the store to another (in this case, to pick up an item I’d forgotten, while my husband waited in line with our cart.) There were yet more endless aisles than there had been in the old store, with unreachable goods stacked up to the ceiling. I barely knew where to find anything in the old store, but the new one was even more of a mystery. There was no way to figure out the logic (or lack of it) behind what products were located where. There was no one to guide us; what staff members we saw were absorbed in their own tasks. So, in short, I felt lost, confused, intimidated, turned off and discouraged. And it made me think: maybe this is a medical metaphor. Maybe this must be how too many patients and caregivers feel when they’re suddenly thrust into the health care system to deal with serious illness or a medical crisis. The hospital setting alone can be jarring and intimidating. In a crisis, patients (or their caregivers, if patients aren’t in a position to speak for themselves), must make decisions about treatment and care fairly quickly. Much has been written about how shared health care decision-making (by patient and physician) has come to replace the old paternalistic model in which physicians mostly made decisions for you. But the fact is, particularly in a crisis, there is not an even playing field between you and your medical team. The team has the advantage of having far more knowledge and experience with your condition than you, and unless the team includes gifted communicators, that puts you at a disadvantage. Recognizing that patients need better information about what care they truly need, Consumer Reports and the American Board of Internal Medicine (ABIM) Foundation have developed the Choosing Wisely® website (http://www.choosingwisely.org/patient-resources/) which aims help consumers choose care that is supported by evidence; doesn’t duplicate tests or procedures already received; and is truly necessary. More useful information is available at http://www.consumerhealthchoices.org, including advice for caregivers and treatments and tests for elders. One of the best things you can do is to have an advance directive that spells out the kind of care you’d want if you couldn’t speak for yourself. 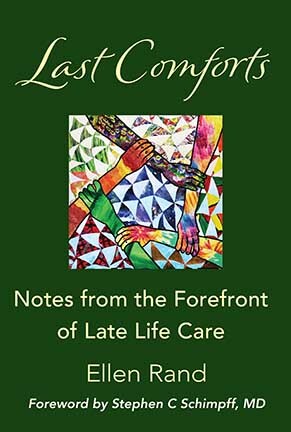 Caring Connections is a program of the National Hospice and Palliative Care Organization (NHPCO). You can find advance directive forms for each state on its web site: http://www.caringinfo.org/i4a/pages/index.cfm?pageid=3289. Caring Connections makes its forms available free of charge. I haven’t yet found a road map for our local Costco. Fortunately, though, there are many to be found, pre-crisis, in health care.